Went to bike last night, all dead, battery was also dead, charged over night, shows 13.6 bolts now on my multi meter, bike still won't even go through start up process, just dead, I have a very dim pilot light, immobilized light is working, but no lights, dash or fuel injection primer sound, checked all connections, tank is off, spare key tried, still no joy, I did at one point have the rev counter spin over when I switched off instead of when I switched on. Is it the original battery? Could be useless even though it shows 13 volts. 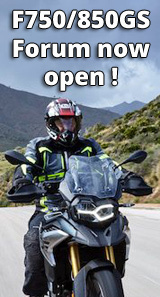 Tiger 800. There's no effing need for it. Agree. The battery is possibly collapsing as soon as load it placed on it. The voltage across the terminals with no load really tells you nothing. 1st stage is open circuit test, see Yuasa link. As it says in the link, if that shows good but still no power it needs a load test but not the poor mans load test using the starter, that best way of trashing the sprag. Best take it to a battery dealer & get it load tested properly. You could have a problem caused by that wrongly wired/connected charger. Before you get too excited, have you checked your kill switch is on? the bike isn't in gear with the side stand down, you are pulling the clutch in? Assuming that you have the jumper leads correctly connected that rules the battery out as the only cause. It was probably time for a new battery anyway so it will not be wasted but I suspect that unless you have the leads connected wrong installing a battery will not magically make it work. Silly question I know but is the handlebar kill switch in the off (to stop the bike running) position? What you describe is exactly what happens when the switch is turned off.